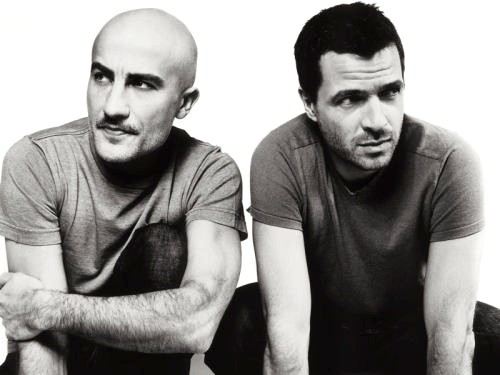 Working together since 1994, French house music duo Phillipe Cerboneschi and Hubert Blanc-Francard, better known as Philippe Zdar and Boom Bass, have been producing for almost 15 years under the name Cassius. Back in the 90s, they started out producing and remixing tracks for acts such as Mc Solaar, Air, Daft Punk and Phoenix, before producing their own original works. In the last ten years, Cassius never stopped working and releasing material (three LPs and a bunch of singles) and they were also busy producing tracks for other artists. Most recently they have collaborated with Chromeo, Cut Copy and Adam Kesher. Now, after a relatively long pause, the duo recently released The Rawkers EP on Ed Bangers Records. Mixing together their love of rock and funk music with a great electro sensibility, Cassius does a great job of balancing something that can sound heavy and passionate with a positive and upbeat vibe. “I Love U So” is a personal favourite. Its hypnotic loop and synthesised vocals work like a charm and in the end it’s hard to tell if this song is hopeful or utterly melancholic.